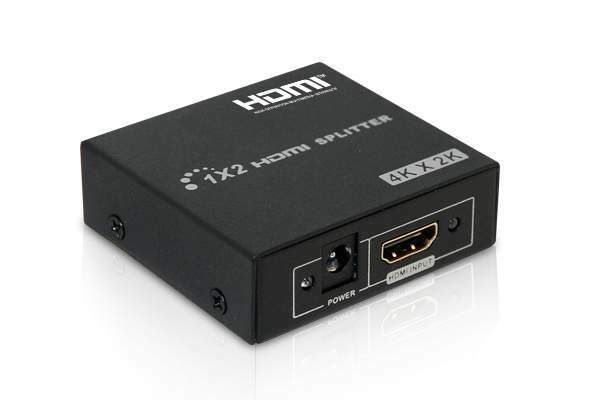 HDMI Amplifier Splitter Allows Two Displays to display the same image at the same time. HDMI video splitter lets you share HDMI signals across two displays without losing image quality. Also has build in signal amplifier, allowing you to locate your HDMI monitors up to 50 feet (15 m) away. * Easy to Use: Install in seconds, no need for setting. * Distribution: 2 identical HDMI outputs. * Cascaded: Large distribution achieved by cascading.